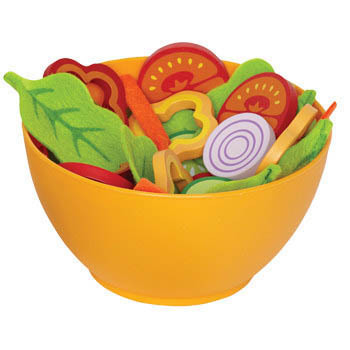 Kids wooden play food from Hape is cheery, colourful and so much fun! This healthy gourmet salad is no different and kids will love whipping up a bowl-filled with healthy goodies. 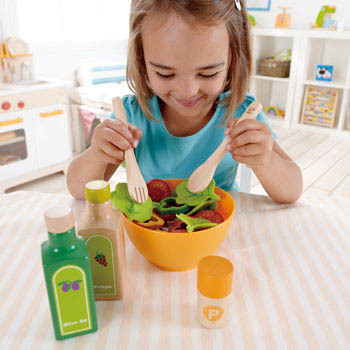 Sweetly styled veggies and salad dressing bottles along with cute wooden fork and spoon will make mixing a salad easy for little chefs. 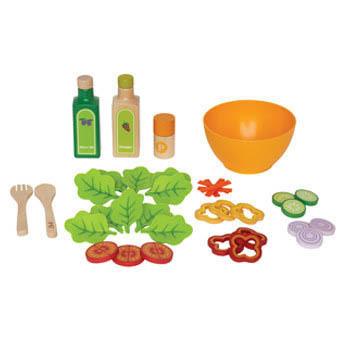 Create your own unique tasty dinner or side dish. Throw some lettuce, capsicum, onion slices, cucumber, carrots and tomato into the included bowl, toss, add dressing and your done. 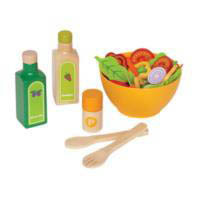 Features vinegar, olive oil, pepper shaker and salad utensils. Everything that’s needed for a health-filled salad is included in this pretend play set. 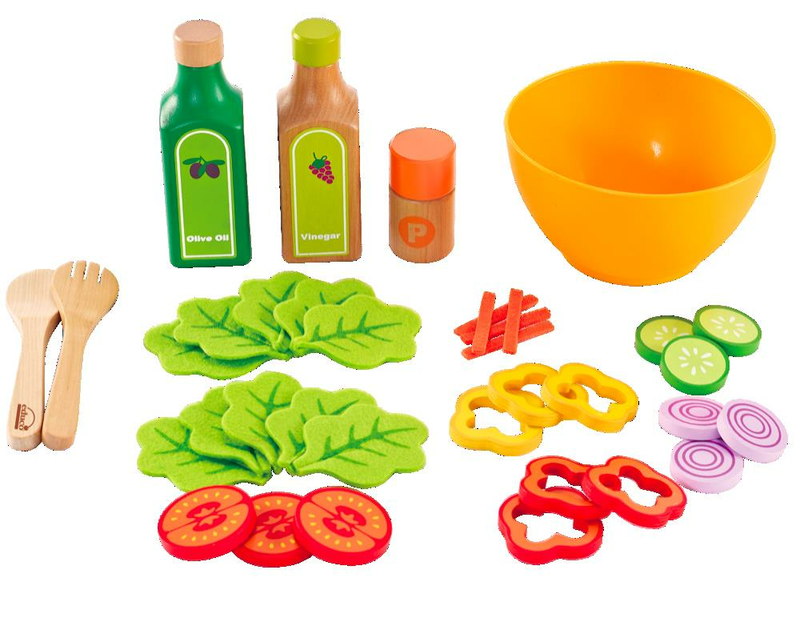 A unique way to encourage kids to eat healthy while learning about veggies and having fun too. 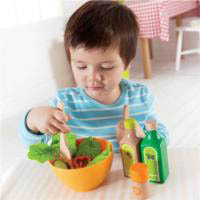 Lots of fun cooking in store as kids make salads with various combinations of veggies and dressings. This is such a gorgeous addition to any child's play kitchen. 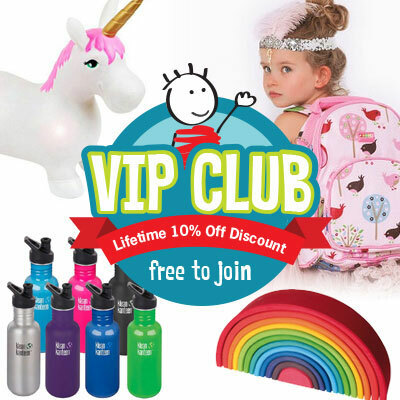 My daughter absolutely loves it!